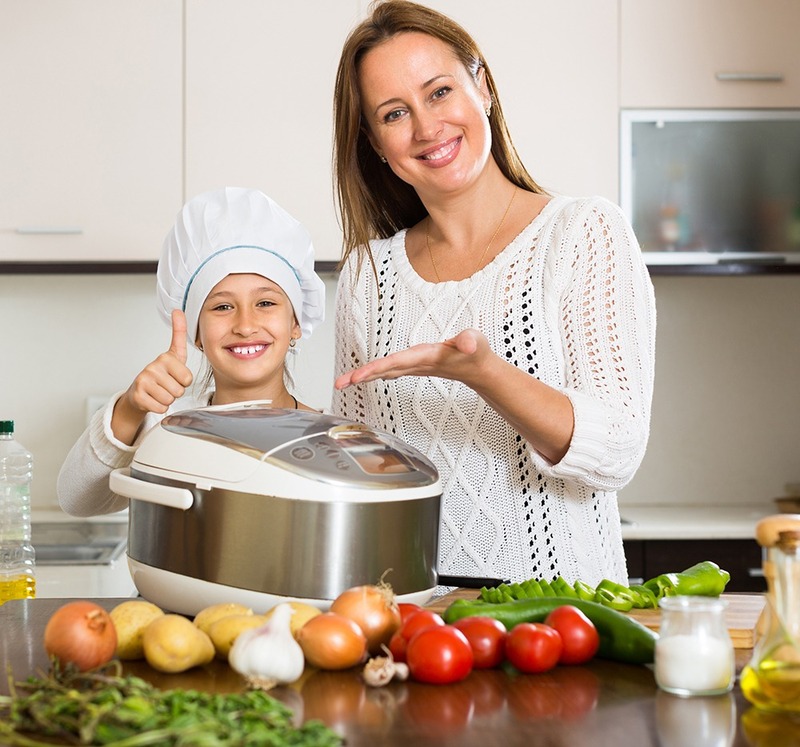 A rice cooker is considered as a small electric appliance which has an inner pan that is non-stick in the material along with an external vessel or a pot to hold the inner pot. It also has a heating plate that sits on the bottom of the external vessel. And there is an electric cord that should be plugged into the wall socket to heat up this appliance. And how does this rice cooker works? Well, a measured rice is filled in the inner pan then water is added on every marked line. It is covered with a tight fit lid, and the cooking begins. The water in the inner pan is being heated to the boiling point and so the rice cooked through the circulating steam inside the pan. If the internal reaches the certain point, the rice cooker will shut off automatically and will switch to the keep warm cycle. A regular cooking cycle is between half an hour based on the rice cooker, quantity of rice, types of rice and the heating technology. The same with other appliances, rice cookers also have different kinds. But, the heating technology is what differentiates these types from one another. This is nothing more than a vessel to cook your rice. There is only need to add water, rice and push the button. It is designed to heat as well as turn off the heat naturally. And it is ideal to cook with white rice. You can also cook brown and sushi rice only with some adjustments. 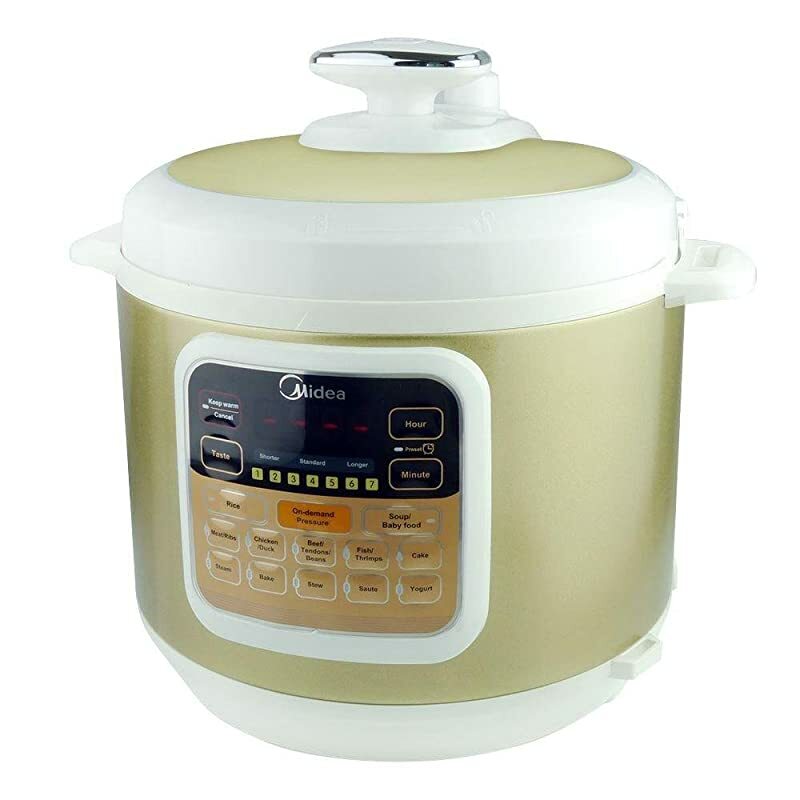 And next is the Micom or micro-computerized rice cooker and this one is equipped with a computer chip which adjusts cooking time as well as temperature per thermal sensor calculation. 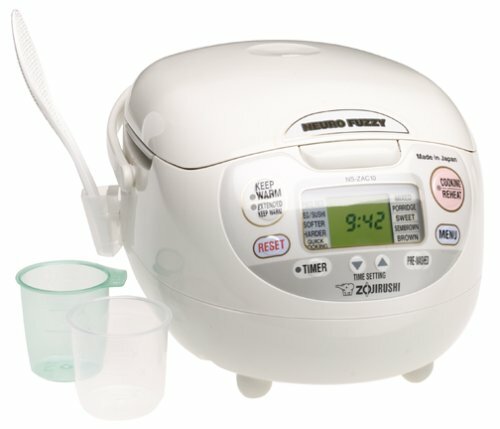 This rice cooker cooks all kinds of rice perfectly. Induction heating technology was being applied in this rice cooker. The IH heating system will heat up the entire inner pan along with induction heating principles that is different from the traditional heating plate on the inner pan’s bottom. This technology could provide benefit through the finer temperature adjustments that are made to cook your rice flawlessly. Why not consider the combination of all the said technologies? The pressurized heating system would raise the cooking temperature to a higher level. Through this, it would modify the structure of the starch in every grain of rice. And so, as a result, the rice will be cooked faster, the texture will be softer, and it would be easier to digest at the same time you can keep it longer. These are the different kinds of rice cookers and so choosing the right one that matches your needs is important. A rice cooker will cook your rice to the same standard and flawlessly. You will not experience burnt or dried out rice or a squishy rice due to being overcooked. This appliance allows for easy cooking. Most rice cookers would come with pre-guided measuring cups as well as tools ﻿﻿for convenient cooking. Rice cookers are multifunctional. They have settings for different kinds of foods such as steamed vegetables or soup.The rice will never get cold too. There will be a setting that will keep the rice cool for a long time. And versatility is not a problem at all. You could buy rice cookers in almost all different sizes based on your needs. So, how are you going to use the rice cooker? You need to consider the types of rice that you will cook most of the time and how often you will cook rice. There is a need for you to consider whether how you are going to use the said appliance. If you what will be the uses of the rice cooker, you will find the best one a lot easier. Since rice cookers do come with different capacities that are measured in cups of the uncooked rice, you need to consider the number of people you are feeding. Bear in mind that it is better to have some extra instead of not having at all. And the cooked rice could last for almost, so you will not have a problem with leftover too. There could be so many features when it comes to the best Asian rice cooker. With that, you should be familiar with the best features and for those features that you are looking for. Don’t be confused by the idea that the more features, the better. Sometimes, having only the needed features serves to be the best choice. Indeed, a rice cooker isn’t complicated at all. You only need to figure out the Menu setting. Manufacturers will provide a user manual or other instructions on how to use and clean the said appliance. On the other hand, washing the rice cooker is also easy. There is just need to soak the pan with some and use the kitchen brush in wiping out the rice. Of course, you should always consider your budget and so look for the best Asian rice cooker with a price that matches yours. Look for a rice cooker that is high quality but also comes within the price ranges you can afford. And for the second choice, it is still a rice cooker by Zojirushi. Also made in Japan, this is so right for a couple or a small family. You might put 5 and ½ cups of uncooked rice into the cooker, and this will lead to about 10 cups of cooked rice. 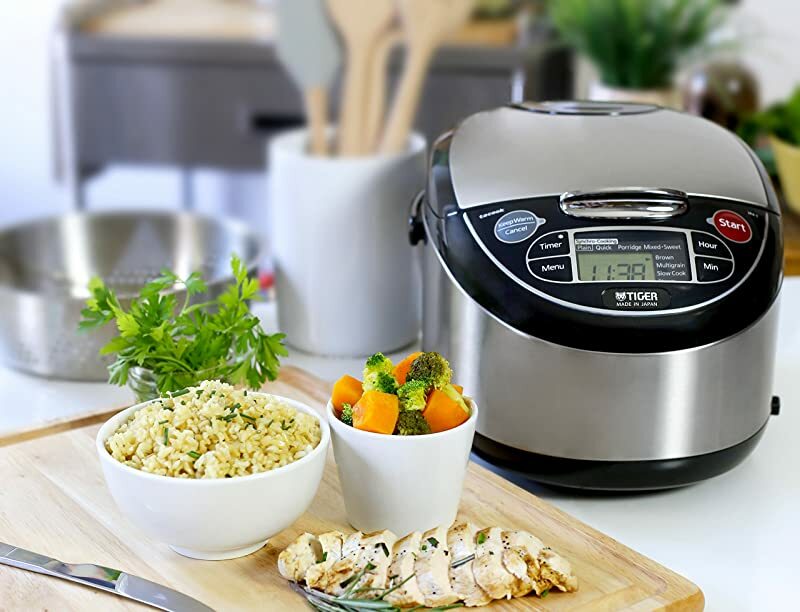 You can also cook different kinds of rice in this appliance, and it also has a steam function allowing you to ﻿﻿steam﻿﻿ foods such as vegetables and fish as you cook your rice. There could be numbers of, buttons on its front, and this means that there are many features too. You will love the delay timer, programmable beep letting you know that the rice is done, and the warning cycles. This indeed comes with almost everything that you need like measuring cups, spatula holder, and retractable cord. But, you might find it hard to clean this appliance and the outer lid is also loose. 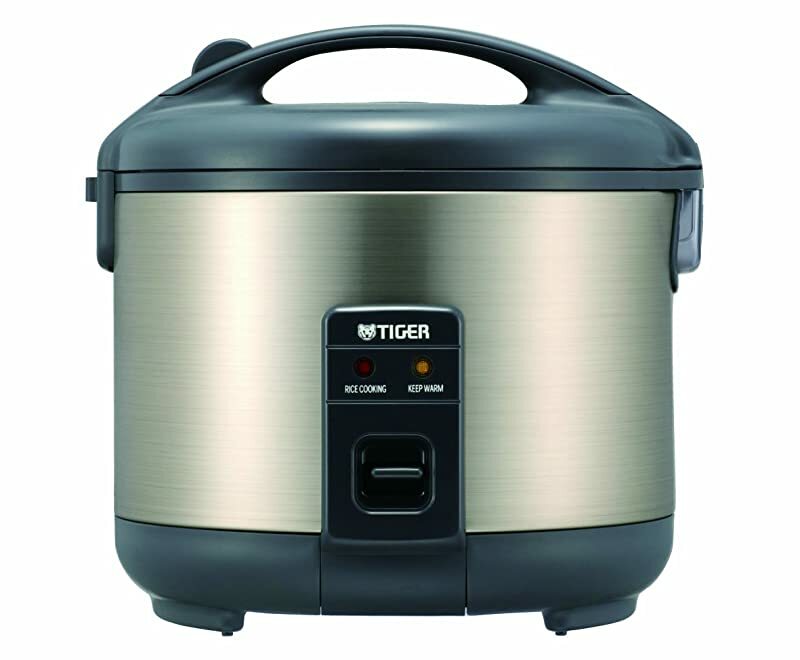 For something that works well every time you need it and a rice cooker that is so easy to clean and assemble, another one from Tiger is the right choice. If you will keep this under the counter, the retractable cord of this rice cooker is a great feature. This is a durable appliance that has the assurance to last longer. And you will be impressed because of the amazing complexity of this device with only one button. Simply plug it, add the grain and the needed water, close it, turn it and that’s it. It will turn itself off or will change to warm settings once the rice is cooked. Just keep the lid closed for certain minutes after cooking for the grain to properly steam. On the other hand, this unit doesn’t keep the rice a lot longer compared to other devices. With this state of the art rice cooker, I considered this one to be on top of the list. This rice cooker makes many kinds of rice and also porridge. It also features soaking and steaming rice setting and more making it deserve to be on top. Besides, this rice cooker can toast rice because of the scorch function, and it also uses induction heating for higher and more precise temperatures than those conventional rice cookers. There is also a use of the fuzzy technology wherein the cookers will monitor the contents of the cooking pot and will make adjustments according to the type of rice and the temperature as well. In fact, this rice cooker could learn from your past settings and so will try to cook based on your preferences. 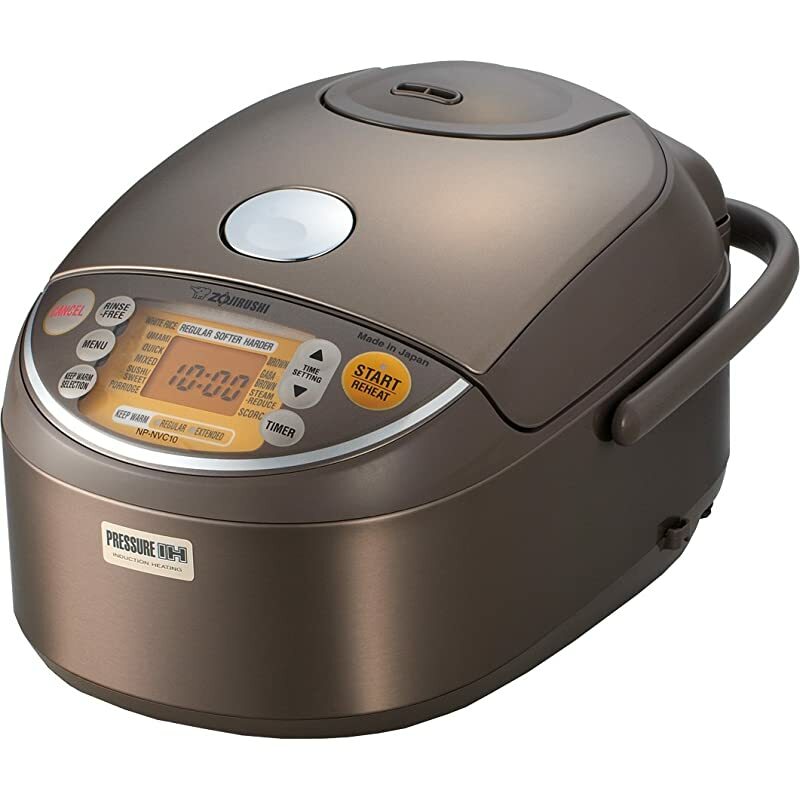 A rice cooker that is made in Japan, this one comes with a metallic brown finish. It has a non-stick coating cooking pot that is so easy to clean. However, this one could be a bit pricey and the nonstick coating might peel off overtime. 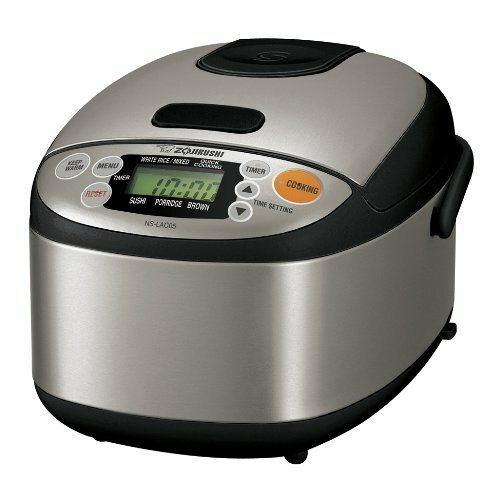 Another one from a Japan-based manufacturer, this rice cooker deserves to be included in this list as it features a sleek stainless steel along with a black finish. And in fact, it also features the same technology as the fuzzy logic by Zojirushi. With that, it could continuously monitor the food, therefore, ensuring that it is cooking at its right temperature. It will not just cook the rice, but it also offers a slow cooker function allowing you to cook stews and soups, risottos and porridge. And the synchronized cooking function is the best feature that sets this one among others. This function ensures that all the features as well as the functions of the appliance would work together in producing a complete meal at a time. Nevertheless, you might find it too long to cook rice and the power cord isn’t retractable too. Known to be the most famous manufacturer in China, Midea will provide you this last but not the least rice cooker that boasts as a UL and ULC certified product which comes with ten proven safety mechanisms. This rice cooker features an inner removable, nonstick liner and a stainless steel exterior that could be easily cleaned. There is also a delay timer intended for flexible meal planning making your life a lot easier. And you will love its 14 programmable menus as well. There are so many things that you can do with this rice cooker. It is indeed so convenient to use like in preparing food with just a press of a button. With the automatic menus, you can also cook your different delicious foods. The interior surface also uses stainless steel ensuring that there is no nonstick coating. The inner diameter is 22 cm while the outer is 24 cm. There is also no need of an extra pot especially if you will bake a cake since you only need to put the mixture in the pot and simply press the bake function. Yet, it lacks English instructions so other might find it hard to follow the manual. Though a bit pricey, this rice cooker provides a precise temperature as you cook rice. With numbers of functions, it could even toast rice. And because of the fuzzy technology, cooking food could constantly be monitored. Of course, I love the idea that it adapts to my preferences through my previous settings. From numbers of rice cookers out in the market today, Asian people could have wide options to choose from and might come up buying the best one. I hope you will be guided by this review. 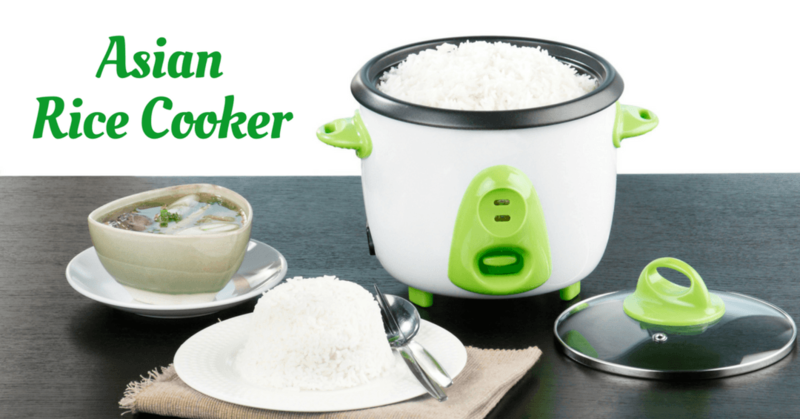 You may share this article with your friends and family to help them choose the right Asian rice cooker for them. Or post any of your suggestions or questions below!